My friend’s accident happened right after his face felt funny in spots… Seconds later he passed out and crashed! All missed, undiagnosed, misdiagnosed, etc… “stuff” can lead to this or fatality! Sean ignored his progressive symptoms… His MD said he had Post Prandial Fatigue… Sean & I kept searching to cover all his symptoms! After the accident his MD said “It’s to much work and testing” to look into his added symptoms… Sean gave him copies of his self diagnosis with his symptoms for Fatigue / Adrenal Fatigue / Hypopituitarism Pituitary Insufficiency checked off… His MD gave him a referral to an Endocrinologist! The Endo feels he has a pituitary gland problem! At 03:20, Companies 49 (Milmont), 43 (Holmes), and 62 (Vauclain) were dispatched to the 1000 block of Girard Ave for a reported vehicle into a pole. While en route, 70-7 confirmed they had two subjects heavily trapped and requested units to expedite. Upon arrival, Medic Ridley-7 requested the driver to be removed first. Crew from Rescue 43 popped the driver’s door and moved to the passenger’s side to begin the door pop on the that side. Upon arrival of Rescue 62, they were instructed by 43 Command to start roof removal along with the crew from Rescue 43. After roof removal was completed, EMS ascertained that the driver’s leg was entangled and the crew from 62 handled the driver’s removal. 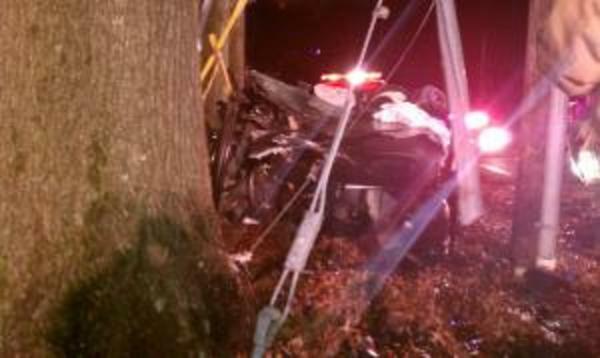 43’s crew continued to work on the extrication of the passenger, who was heavily pinned due to the impact on the passengers side with a large tree. Crews from 43 popped the passengers door and made a third door in an attempt to gain better access to the victim. Due to the intrusion of the dash, firewall and rocker area, attempts were severely hindered. The tow truck was positioned to pull the vehicle from the tree for the crew to gain better access, but this proved unsuccessful due to a telephone pole and guide wire. 62’s crew utilized a ram from the center console area and 43’s crew utilized a spreader under the hinge area to gain enough room to safely disentangle the passenger’s legs. All rescue operations were coordinated with Medic Ridley-7 and Ambulance 70. 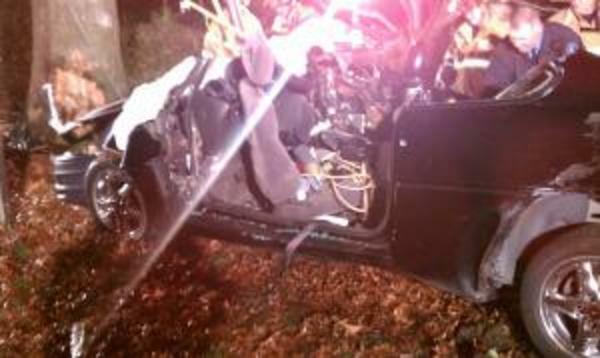 EMS was able to stabilize both victims throughout the extrication process and transport to a local trauma center. The Company was in service for approximately 1 hour and fifteen minutes to extricate both victims. THANKSGIVING CRASH... PASSENGER ABSORBED MOST OF IT!